Yep, it’s a respiratory illness outbreak, but most kids who catch enterovirus 68 will be just fine. 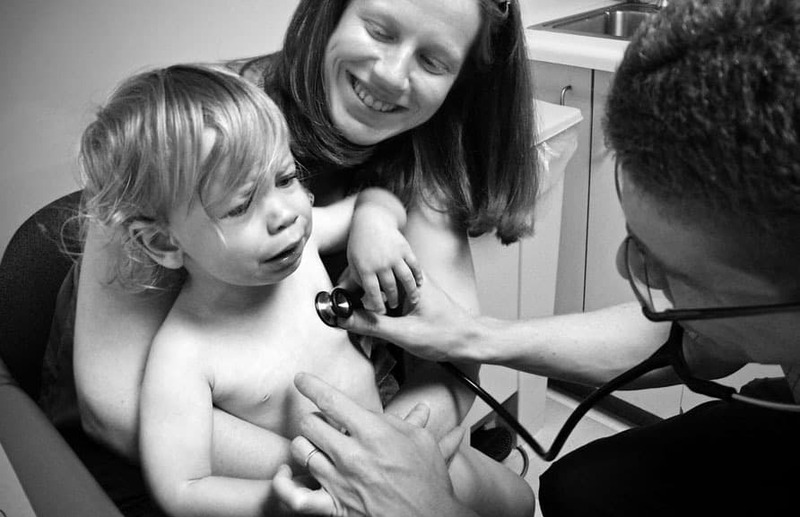 Here’s what parents need to know about this latest childhood disease outbreak. This fall, a relatively unknown respiratory infection – enterovirus 68 (EV-D68) – is currently sickening children around the country and causing severe breathing problems in some children requiring hospitalization. In very rare instances, limb weakness and paralysis has occurred, although health officials do not yet know whether these rare effects are a caused by EV-D68 infection. Most children infected with EV-D68, a virus that was first discovered in the 1960s, may only experience mild symptoms — and never even know they have the disease. Only severe cases of disease are tested and confirmed, leaving an unknown number of mild cases unreported. EV-D68 can be a severe disease, but parents should remember that other respiratory infections, like the flu, are actually more prevalent and life-threatening to children. Over 100 children died in the United States due to influenza in 2013, and over 200,000 people were hospitalized. As with any respiratory infection, parents should monitor children who have colds closely and seek immediate medical attention if a child has severe belabored breathing. The disease begins with common cold symptoms, but some children quickly worsen and have difficulty breathing, particularly children with asthma or a history of wheezing. Recent cases have been in children ages 6 months to 16 years, with most hovering around ages 4 and 5, the CDC says. Many children infected with enterovirus 68 only have mild, cold-like symptoms. Mild symptoms may include fever, runny nose, sneezing, cough, and body aches. Like the cold and most other respiratory viral infections, there is no specific treatment for children with respiratory illness caused by EV-D68. The majority of children can be treated with over-the-counter pain relievers, staying well-hydrated, and monitored for worsening of symptoms. How can you prevent getting EV-D68? 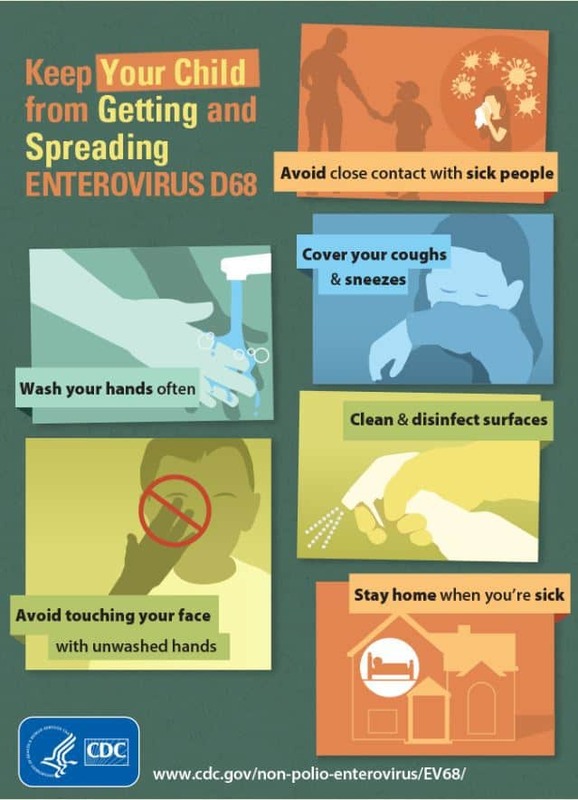 Like the cold and flu, EV-D68 is spread by coughing or touching contaminated surfaces. Frequent handwashing is the best way to minimize the spread of disease. Why aren’t adults stricken with enterovirus 68? Adults can get infected with enterovirus 68, but the symptoms are not as severe. According to the CDC, approximately a quarter of all Enterovirus 68 cases before 2005 were adults. Children have not yet developed a natural immunity to enterovirus, but adults have more developed immune systems to help limit the severity of disease. Does my child have an enterovirus 68 viral infection? EV-D68 is diagnosed by doing specific lab tests on specimens from a person’s nose and throat, and the CDC currently recommends testing for children with severe respiratory illness when the cause is unclear. Respiratory problems can be caused by many different viruses and have similar symptoms. Not all respiratory illnesses are due to EV-D68. If a child has a respiratory illness, parents should contact their doctor if they are having difficulty breathing, or if their symptoms are getting worse. What should children with asthma do regarding EV-D68? Update your child’s asthma action plan with their doctor. Use prescribed asthma medications as directed, especially long term control medications. Keep reliever medication readily available. Make sure your child get’s their annual flu vaccine. Preventing other respiratory illnesses may help lessen the severity of EV-D68. If your child develops new or worsening asthma symptoms, follow their asthma action plan. If the symptoms do not go away, call your doctor immediately. What about limb paralysis associated with enterovirus 68? The CDC is currently investigating the cause of limb weakness and paralysis associated in rare cases of EV-D68. It is not yet known whether EV-D68, or another co-associated disease is related in these cases. While enterovirus 68 is a member of the non-polio enterovirus family, there is currently no direct association between EV-D68 and long-term paralysis in children. Scientists are currently researching this further.